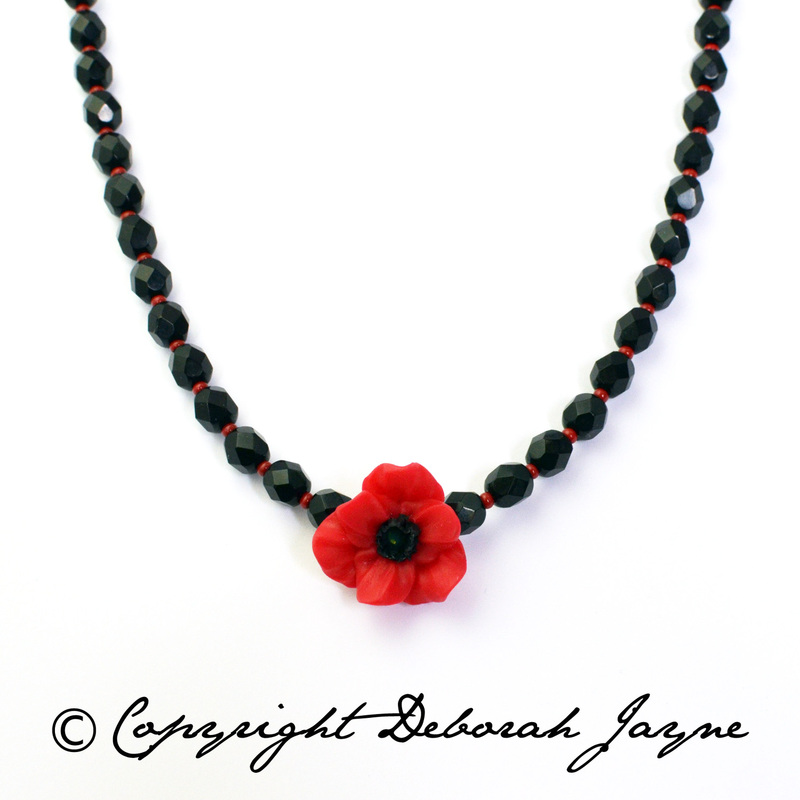 All of my Remembrance Poppy Jewellery is handmade using flowers crafted from polymer clay. 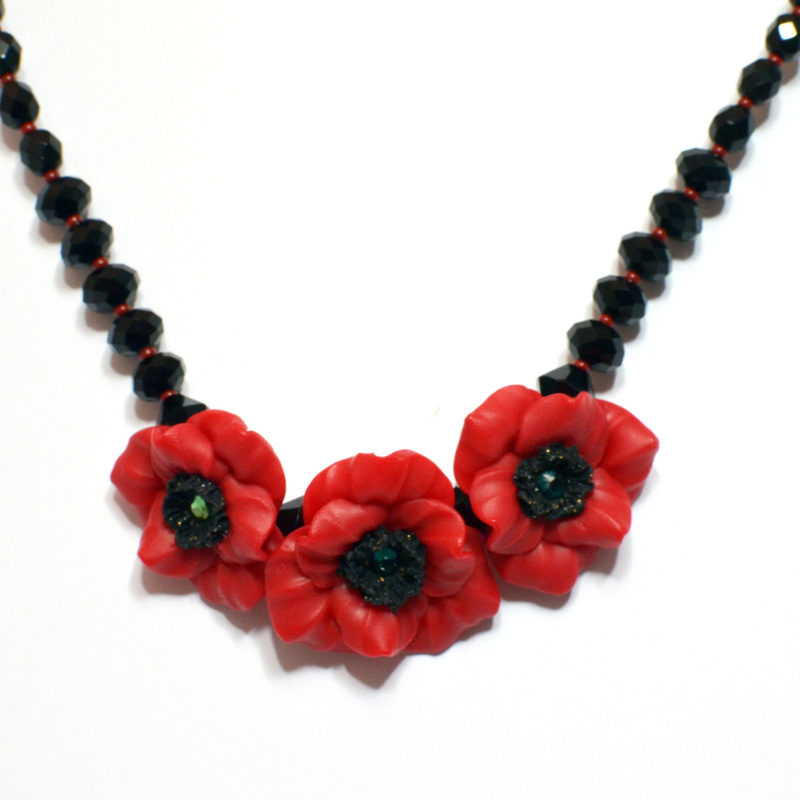 These are combined in every Remembrance Poppy Jewellery piece with faceted glass beads and tiny red seed beads. 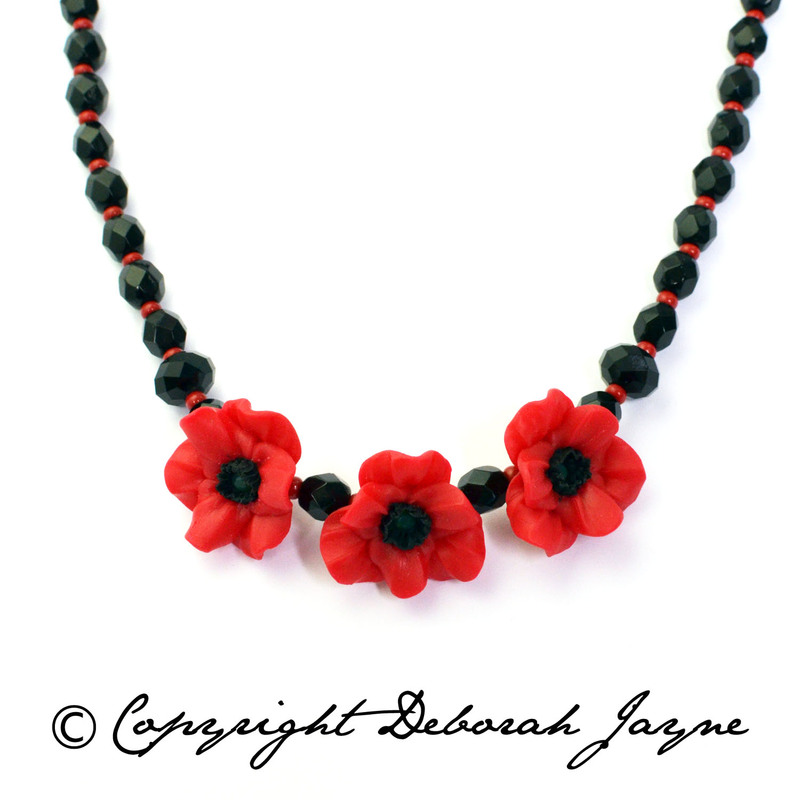 My Remembrance Poppy Jewellery is unique to Deborah Jayne and I donate a large percentage of the profits to the Royal British Legion. 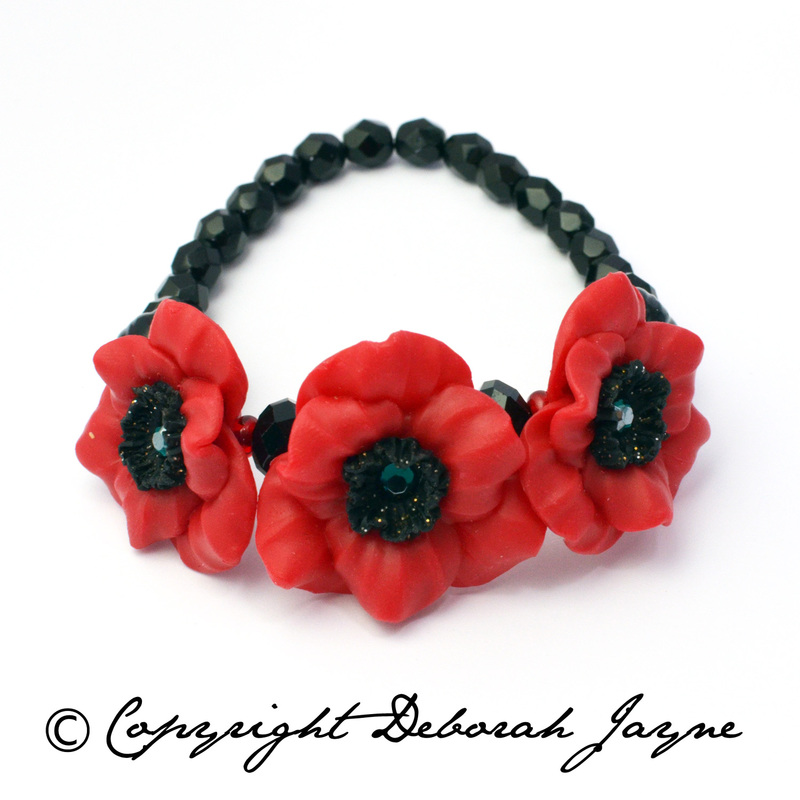 Beautiful Poppy Appeal charm bracelet, handmade and sold in support of the Royal British Legion. 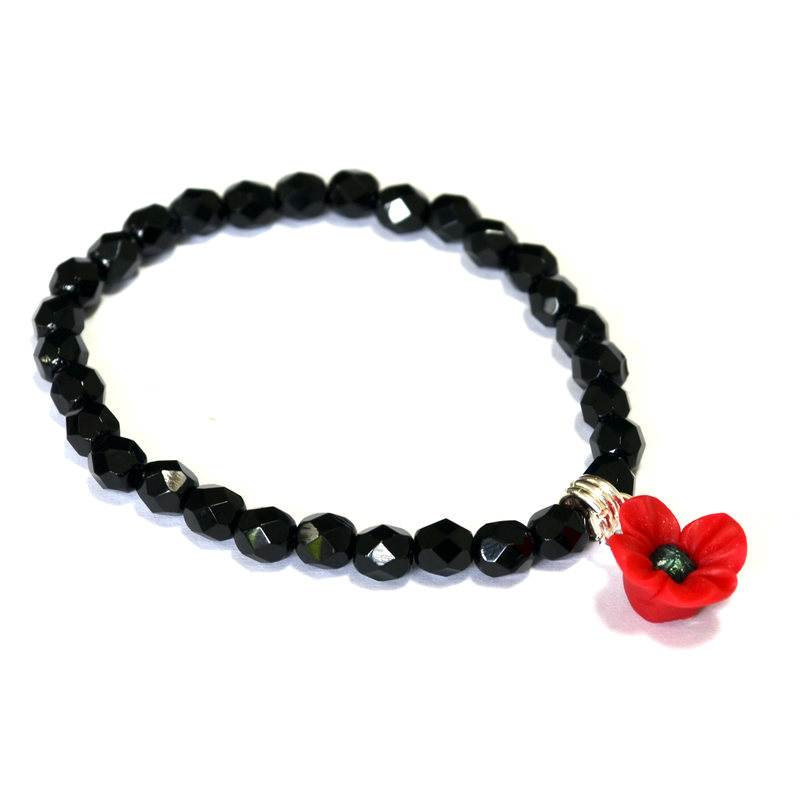 With large central artisan handcrafted poppy bead, with a one medium sized poppy to either side (all polymer clay & with green Swarovski crystal to the centres); large lobed & facet cut black glass beads; on stretchy elastic. 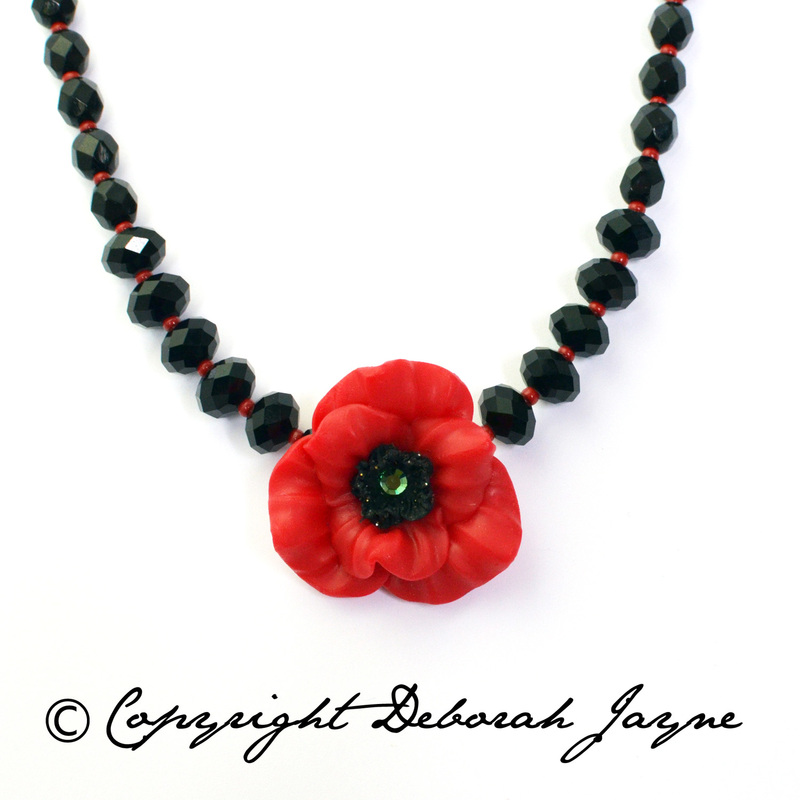 Three sizes - SMALL, MEDIUM, LARGE Deborah Jayne jewellery in support of the Royal British Legion will arrive stylishly & ethically packaged. ALL MODERN COMPONENTS. 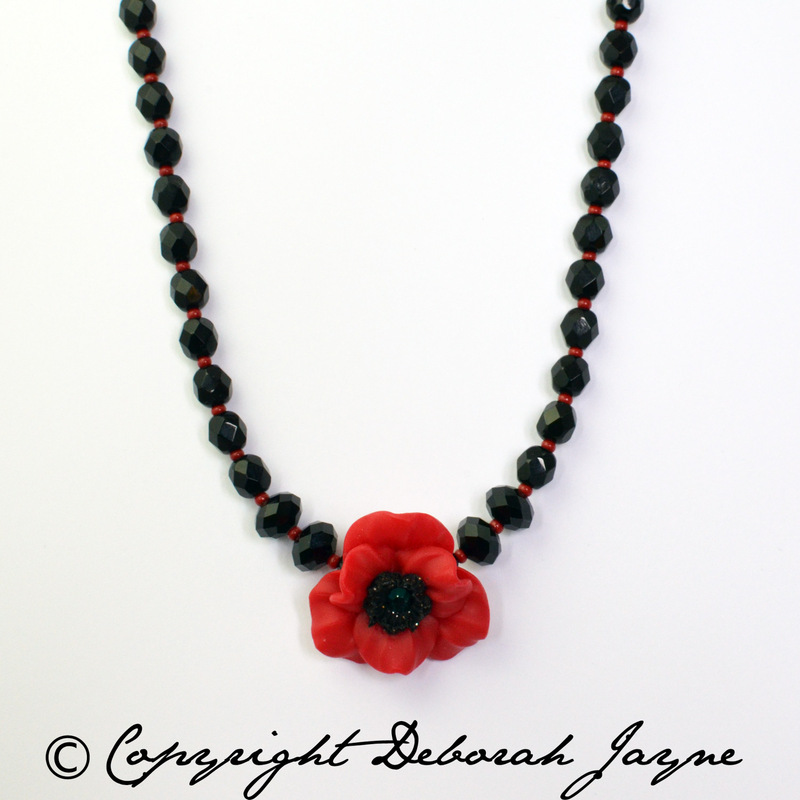 Artisan hand crafted poppy beads (polymer clay - larger central poppy approx. 1 1/4" / 3.5 cm wide / two medium poppies approx. 1" / 3 cm ), each with small green Swarovski crystal to the centres; suspended on a necklace of facet cut black glass beads interspersed with red seed beads; silver plated and nickel free lobster clasp and extension chain. 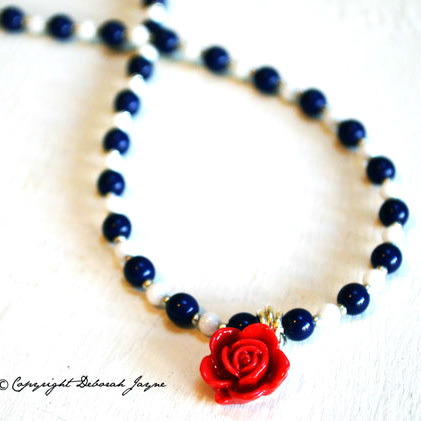 Shortest length; 15 " / 38.5 cm Deborah Jayne jewellery in support of the Royal British Legion will arrive stylishly & ethically packaged.